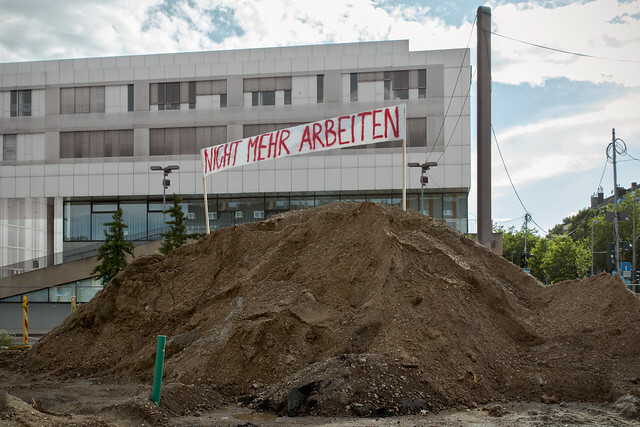 Banners saying „Do not ever work!“. 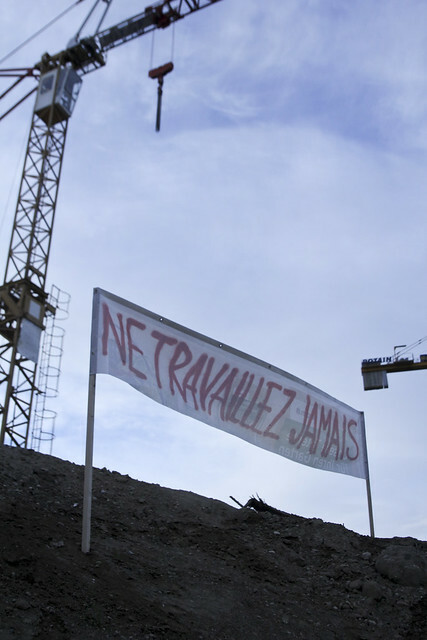 Banners are installed at construction sites in lucrative areas with high real estate speculation and gentrification problems. Slogan was written on the wall in Paris by Guy Debord. Placed in front of EU Parliament. 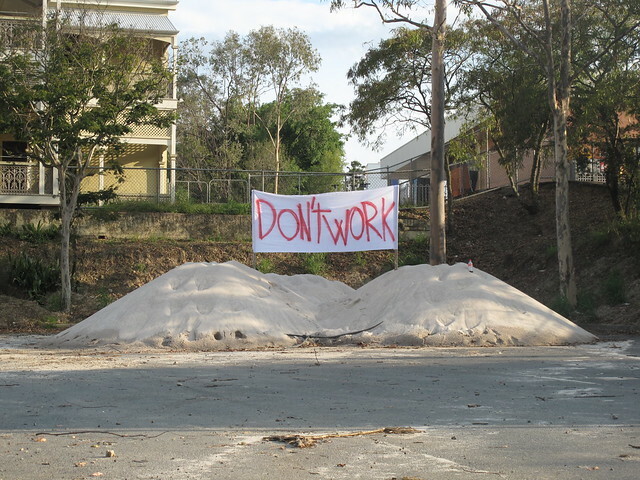 Construction site in Southbank neighbourhood.